3 images. Son killed in Korea, April 23, 1951. 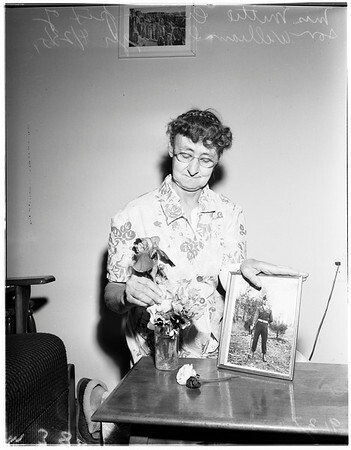 Mrs. Mittie Cregger (puts flowers in vase beside pix of son William who was killed in Korea).